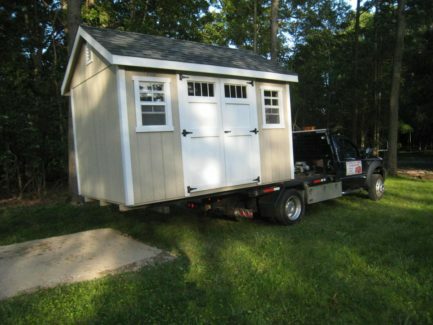 Free Local Delivery within 30 miles of Florham Park, exclusions apply. 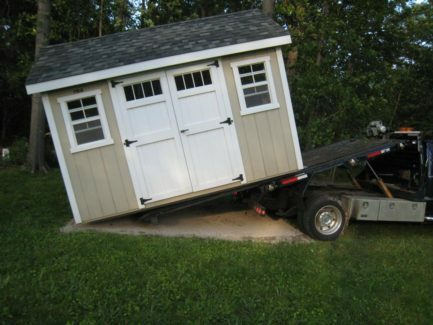 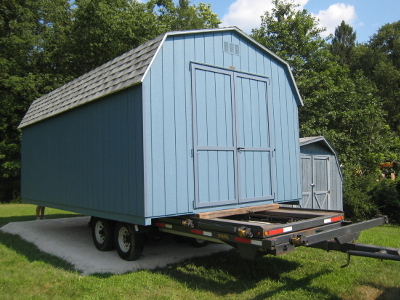 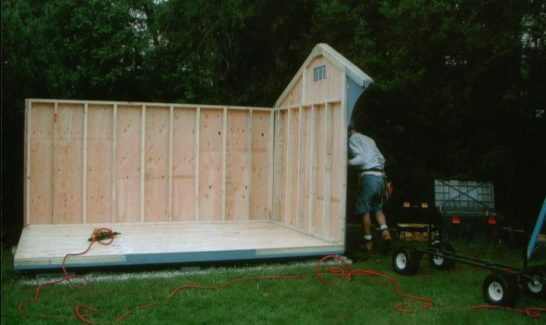 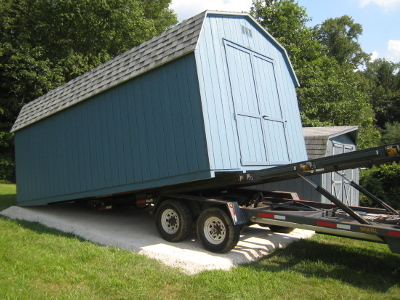 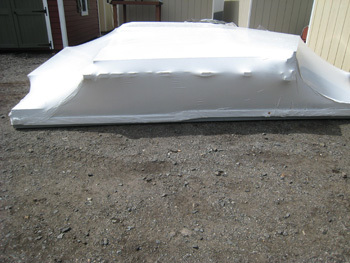 When the site is accessible by truck, our experienced drivers drive the fully assembled building into your yard. 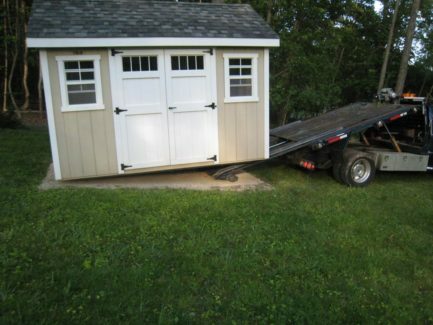 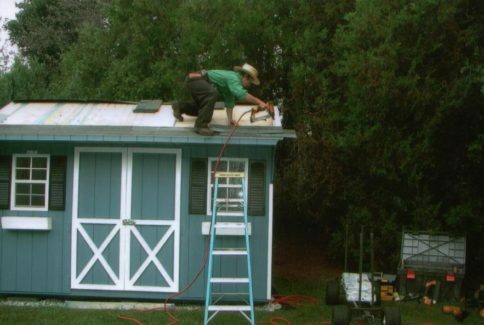 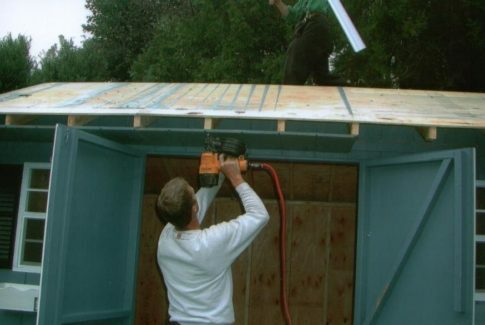 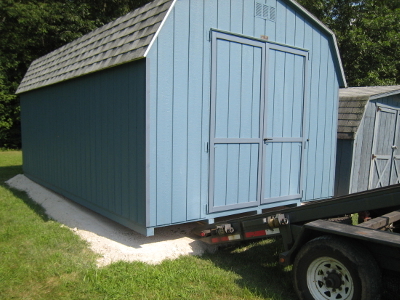 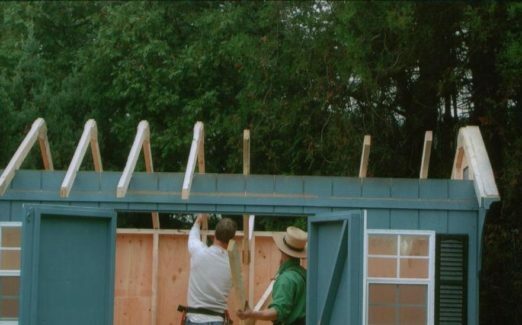 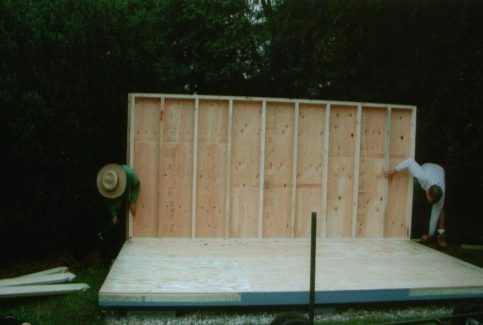 We need at least 9′ of clearance in width for the truck and depending on the size of the shed, we may require more room. 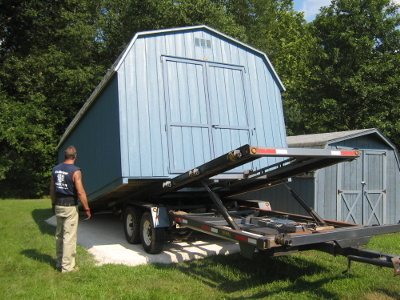 We will then position the building onto your pre-selected and pre-prepared location. 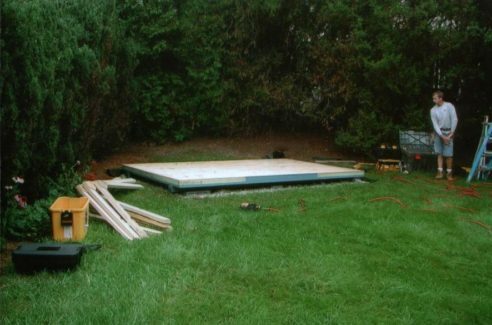 Setup and leveling on concrete blocks is available for an additional fee. 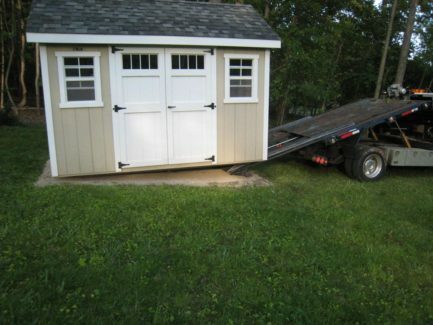 If your site is inaccessible by truck, we offer our experienced crew to assemble on site for an additional cost. 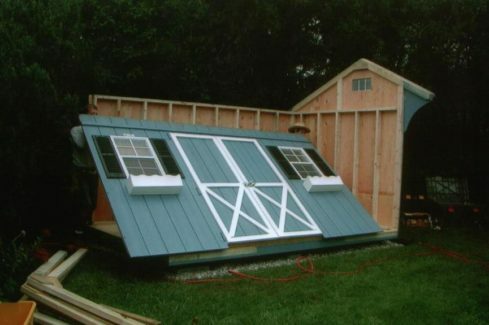 Pictures of both methods of installations are shown below.